Canadian Industry Minister James Moore was joined today by Canadian Space Agency (CSA ) Astronauts Jeremy Hansen and David Saint-Jacques as they together announced Canada’s commitment to fly two more Canadians to the International Space Station (ISS ) within the next decade. 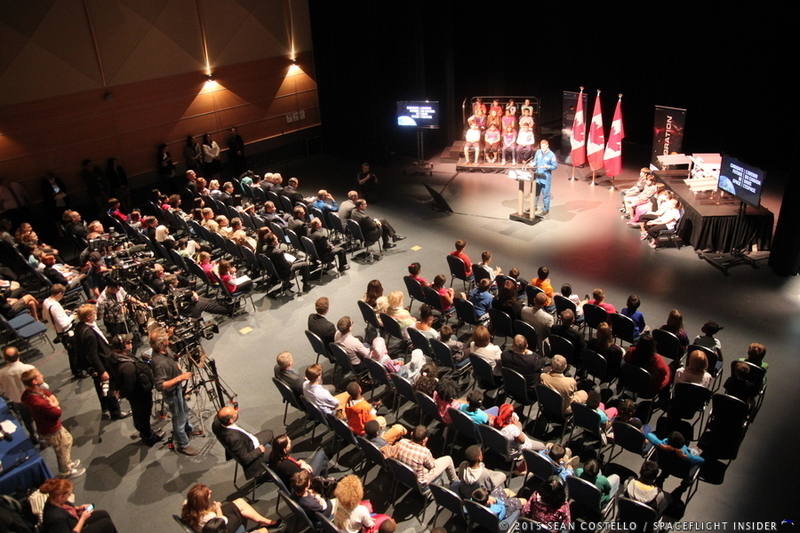 This recent announcement was heralded at an event which highlighted Canada’s aerospace efforts. 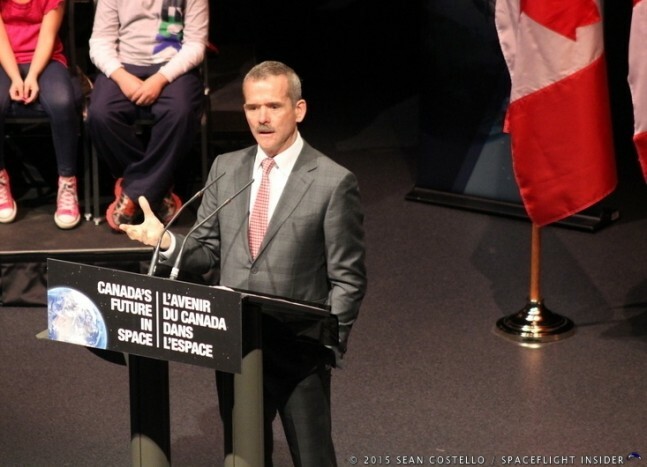 The announcement was one of many made during the June 2, 2015, event at the Canada Aviation and Space Museum in Ottawa, Ontario, where Commander Chris Hadfield helped open a new exhibit, “Life in Orbit: The International Space Station”, and a two-year funding commitment was also confirmed to extend the Canadian contributions to the ongoing Mars Science Laboratory mission, also known as the rover Curiosity. In making today’s announcement, Canada became the third nation to sign on to continue supporting ISS operations through to 2024, following the United States and Russia. While the joint announcements did not include specific mission outlines or inferences as to which astronaut would fly first, today’s renewal of Canada’s participation in the ISS did come with a program commitment by the ISS-supporting nations to fly one Canadian Astronaut by 2019, and the second by 2024. 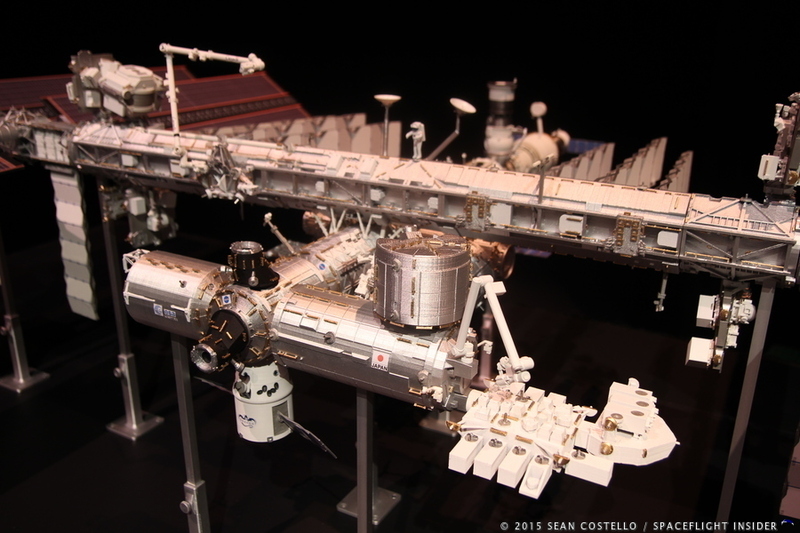 Also outlined were four new Canadian science experiments to be conducted aboard the ISS, beginning in the fall 2015. The four studies were picked for their relevance to medical and health issues stemming from space travel, (the CSA’s top priority for ISS Science), and for the benefits they offer for life on Earth. 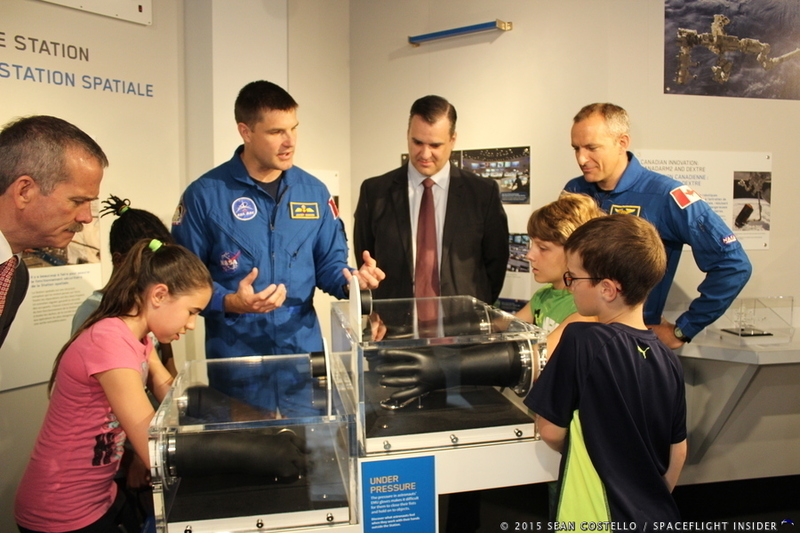 During the 90 minute mixed speaking and touring event, students from two Ottawa-area elementary schools got to work hands-on with Hadfield, Hansen, Saint-Jacques and Minister Moore as they toured the new interactive science exhibit at the national museum, to much delight of the youth. Focused on educating visitors about the effects of working in space and living in the micro-gravity environment of the ISS, learning stations include a Canadarm2 simulated control station, a pair of work gloves and manual dexterity challenges that can be shifted from being in our natural atmospheric pressure to simulating the effect of working in the vacuum of space, and a seven-screened simulator of the famed ISS Cupola, considered by many astronauts to be their favorite place aboard the science outpost.